The Illusion of Life is one of my favorite books about animation and especially Disney animation. 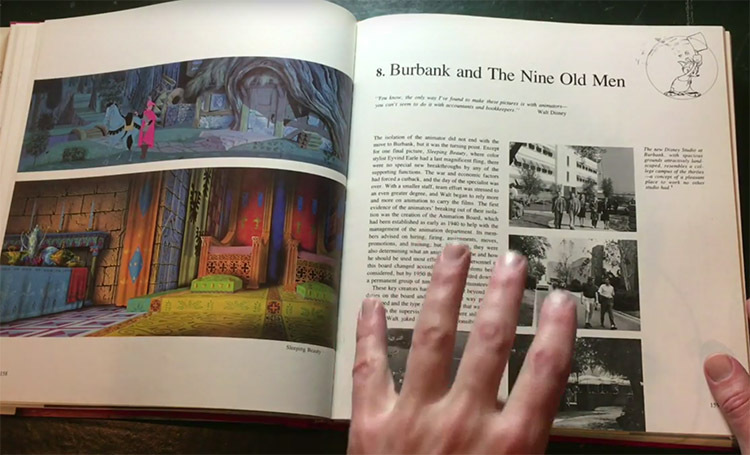 The book is written by veteran Disney animators Frank Thomas and Ollie Johnston. It was the first book that really explained the way animations was made in the golden days of animation. I had to fortune to meet Frank Thomas and Ollie Johnston when they were first promoting the book in 1982. It was the first book of its kind and shows a lot of art from the Disney Archives. It tells the story of how Disney animation was made and how it was to work with Walt Disney. The book has great tips about animation and shows the twelve principles of animation. Ollie Johnston and Frank Thomas were part of the Nine Old Men. These were the top animators of the Walt Disney Studions, that took over the animation from Walt Disney, beacuse he was too busy with other projects like Disneyland and The Wonderful World of Walt Disney. If you like animation and want an in depth story about animation in general and 2D animation of the Golden Era, then this book is a must have. I have left some direct links to Amazon. com and Amazon.co.uk.